The Electrolysis facility at the world’s largest Aluminum Plant is a huge 600-meter hangar, where alum is transformed into liquid aluminum. The plant uses Winmate’s 7” Rugged Tablet PC to allow workers to control the production parameters remotely from the bridge crane as they are identified by the plant’s automated system. 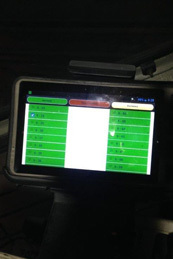 The tablet shows work order / task, SOP, troubleshooting information and documentation. 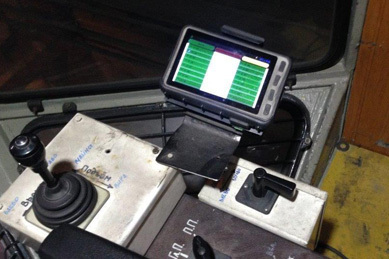 The 7” Rugged Tablet PC with Android 4.2 (M700DM4) was installed on the bridge crane with vehicle docking station allowing workers to detach the tablet and monitor the parameters of the manufacturing process while moving around the facility. 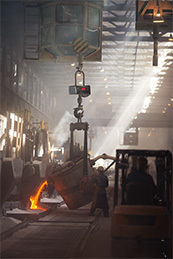 The aluminum manufacturing process takes place in a harsh environment that exposes equipment to molten aluminum and electrolyte baths with temperatures of around 950°C. 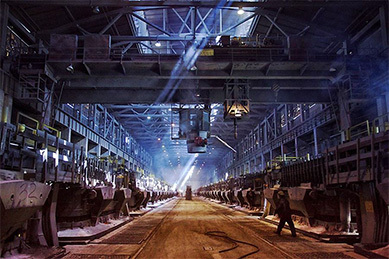 Moisture and reactive substances are additional risk factors for the equipment. Which important specifications M700DM4 distinguish it among competitors? Winmate offers exceptional quality in terms of assembly and materials. The design and screen size are also critical components that help them stand above their competitors. Winmate’s tablet PC gave us the optimum balance of price and quality, surpassing other manufacturers. Built for rugged environments, the M700DM4 is sealed to IP65 and meets MIL-STD-810G standards for shock, vibration and 4-foot drops to concrete, and is protected against water, extreme temperatures and dust.